Millennials are the new “Greatest Generation.” Okay, I’m a little biased because, well, I am a millennial. However, I feel pride in my own generation and the change they are creating in the world. Research proves it and it can be felt in just about any facet of life – Millennials are doing things differently than ever before. 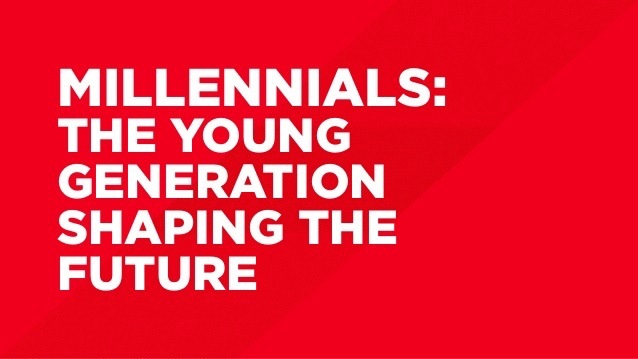 Whether it’s money, career, relationships, philanthropy, or politics, Millennials are bringing a fresh perspective to the world we live in and making it a better place. Yes, we are labeled as narcissistic, technology-dependent kids, but we are challenging the way things have been done for decades. My goal is to share the captivating ways Millennials continue to shake things up. I’ve done firsthand research of Millennials in the nonprofit world, but the issues and changes they continue to address in so many other areas are what will really shatter the status quo we have been used to for far too long. As the last years of the Millennial cohort begin to finish their college careers, and a majority of this generation are building their careers, the links below will have an emphasis on the workforce and finances. I’ll also be including a list of links of Millennials in the news, whether it’s the latest research or the latest question Millennials are asking. Check back to the Millennial Musings page for links, and the blog for any posts of my own! Millennials More ‘Corporate’ than ‘Entrepreneurial’? What Makes Millennials Give to Charity? 1 Hour of Community Service Equals How Much Money?! Can Millennial Men Have It All?